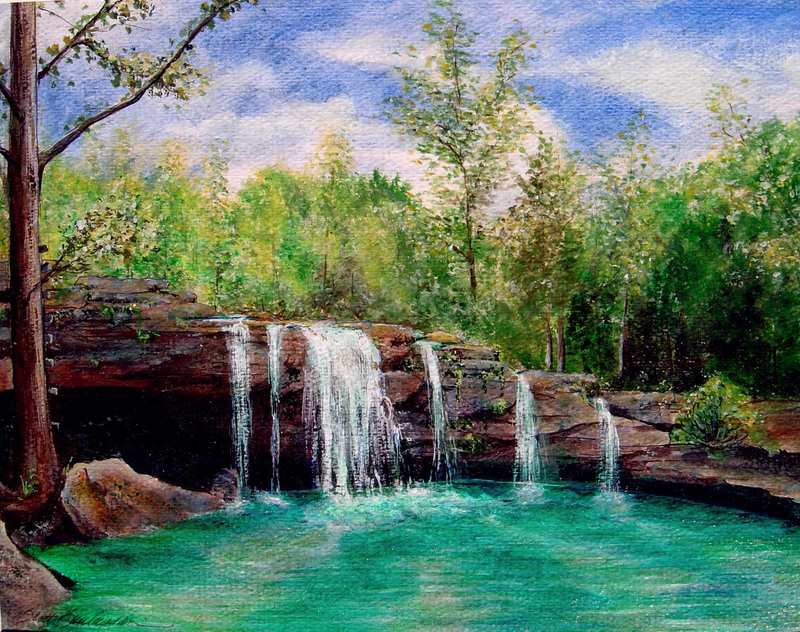 ..is one of my favorite swimming holes, and we spent many a day there when I lived near by. When the water is up you can dive off the bluff, and right after heavy rains kayaks actually run the stream. 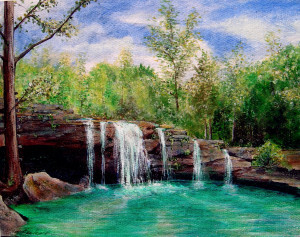 It is just downstream from the Falling Water Pentecostal Church where an awesome 4th of July week long camp and revival takes place. The Original and a large print edition have been sold out.